George Walton Biggs, III obituary. Carnes Funeral Home. 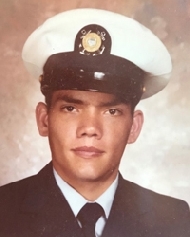 From 1979 to 1983 George served 4 years in the United States Coast Guard, and traveled from California, Alaska, to Japan. He was deemed their #1 Firefighter. He was offered to stay, but left with an honorable discharge to come back home. For approximately 25 years George worked for various contractors at different refining locations throughout the Southeast Texas coast as a Blaster-Painter, and became a General Foreman. He was truly good at this work, and took great pride in his crew, and everything they touched. From January 2007 to present he worked at Mainland Tool in Texas City, TX as a Stocker. Mainland Tool was not only his employer, but everyone there was family to him. He loved his job, and showed such gratitude and care in his work. He will be greatly missed by this wonderful group, and all the people he’s met along the way. George had a love for deer hunting, camping, and being in the tall piney woods. The outdoors was his refuge. He was a member of the Buckhorn Hunting Club in Oakhurst, Texas for approximately 9 years. He enjoyed spending time with his hunting families around the campfire, telling stories, laughter, playing with the children, and always ready to hang a knife in everything that entered the camp. He loved tracking the game trails, and jumping to assist everyone who needed help. These families became his brothers and sisters. There are not enough words to express how much he is loved and will be missed by everyone. Surviving is his wife of 14 years, Cathy Arlene Biggs of San Leon, TX; Nephew, Wesley Bertrand, Jr. and wife Kelsey of League City; four Sisters, Sheryl Ann Segovia and husband Pedro of Port Arthur, Barbara Lynn Biggs of Port Arthur, Jessie Louise Raber and husband Randy of Pennsylvania and Darla Kay Bertrand of Baytown, TX, and many nieces, nephews, great nieces, and great nephews. George is preceded in death by his Mother Lowona Arredondo, Father George Walton Biggs, Jr., Stepfather Robert ‘Bob’ Wesley Hargett, and Stepfather Eloy Arredondo. He loved his mother so very much, and was so proud to be called ‘momma’s boy’. Also, he spoke with such honor and love about his stepfather Bob, who raised and molded him into the wonderful man he later became. Visitation, Services, and a Fellowship Banquet will be held at Carnes Funeral Home, 3100 Gulf Freeway, Texas City, TX 77591 on November 24th, 2018. Family and friends will be welcomed begining at 11:00 AM. Celebration of Life funeral services will commence from 12:00-1:00 PM, and will be followed by Fellowship in the banquet room from 1:00-3:00 PM. There is so much love, and so much more to be said of George’s life. We would be honored for you to come join us and share in the Celebration of George Biggs life.